Amala Paul - Vijay's Marriage date announced! Amala Paul, who have earlier announced to the media about her relationship with the director A.L.Vijay. Home » AL Vijay | Amala Paul | Marriage | » Amala Paul - Vijay's Marriage date announced! It was also announced that the marriage will be in June. If the rumours going around tinsel town are true, then Amala Paul is all set to exchange vows with Director Vijay. Both of them have worked together in projects such as Deiva Thirumagal and Thailavaa. Earlier, Vijay and Amala have denied reports of both of them being in a relationship and stated that they were just friends. But now Amala Paul’s mother Annes has confirmed that her daughter is indeed in love with Director Vijay. Annes confirmed that the wedding dates are yet to be scheduled and that the wedding and engagement will happen in Chennai and Kochi respectively. Now the hot news about them is that the Marriage date is fixed to be on June 12 and will be held in chennai. Before that the engagement will be held in kerala on 7th June. 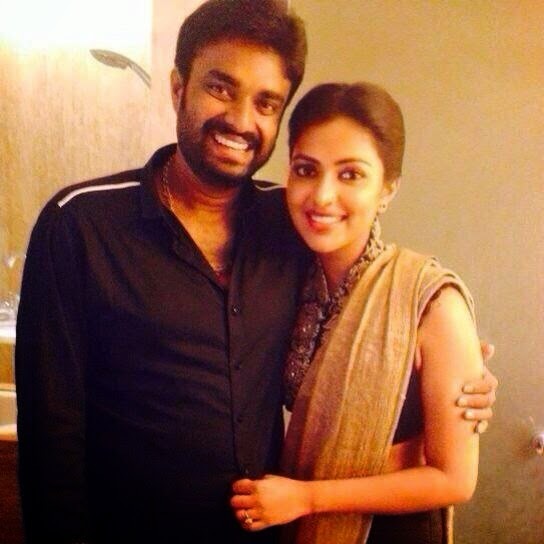 There were reports doing rounds that Amala Paul and director Vijay's engagement and marriage dates have been fixed. It is said that the couple will tie the knot in June. Rumours all of a sudden started doing rounds after a leading PR posted on his Twitter that Amala Paul and Vijay are marrying soon. On his Twitter, he wrote, "Official announcement soon Engagement in Cochin 7th June & Marriage 12th in Chennai." His Tweet immediately went viral. But surprisingly, he deleted his tweet a few minutes after writing it. However, online webisites have continued to believe that his post is true. Recently, he had done the same as he announced the release date of Rajinikanth starrer Kochadaiiyaan. Meanwhile, sources close to Amala Paul and Vijay have denied it and said that the marriage and engagement dates are yet to be fixed. The director is expected to make a formal announcement on their relationship once he returns to India. However, Amala Paul and Vijay fell in love during the making of Deiva Thirumagal. Their bond grew by leap and bounds in the following years even though the couple denied reports about their affair. They had also worked together in Vijay starrer Thalaivaa.